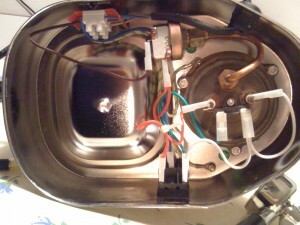 Technical Car Experts Answers everything you need: how to take apart boiler on La Pavoni Europiccola Espresso Machine? how to take apart boiler on La Pavoni Europiccola Espresso Machine? Unplug the machine, empty it and remove the tray, the boiler cap and the steam wand. Unscrew the base using the Torx screwdriver and remove it. Look at the wiring below. Document the way your machine is wired up, e.g. by taking a few pictures. The element screws into the boiler.You will have to use wrench to remove the nuts. 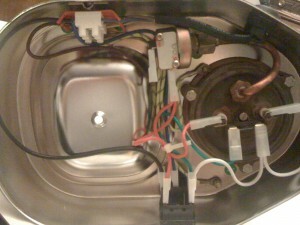 Once the element nuts are removed, then removing the boiler is not that difficult. you rotate the base left and right 1/8 turn each way to loosen it up, then you will be able to get enough torque on the retaining ring to loosen it. Labels: how to take apart boiler on La Pavoni Europiccola Espresso Machine.